Following on from recent innovative environmental initiatives such as the switch to 100% renewable energy, testing the first fully electric airport shuttle bus with boost charging and the introduction of an autonomous power and air conditioning supply system for business air travel, Nice Côte d’Azur Airport has become the first Carbon Neutral airport in France, achieving level 3+ Carbon Accreditation, and the world's 25th certified airport. 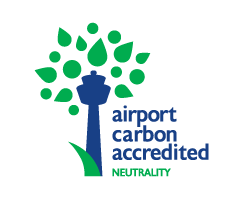 Our Group has achieved the ultimate milestone in its Airport Carbon Accreditation strategy by becoming Carbon Neutral two years ahead of its initial deadline of 2018. Level 3+ means that the airport management has committed, after several years of reducing its emissions, to continue those efforts and offset any residual emissions to allow all operations under the airport's control to become carbon neutral. Since 2011, Aéroports de la Côte d’Azur has been implementing the independent Airport Carbon Accreditation programme which helps airports around the globe measure their carbon footprint and take initiatives to drastically cut their greenhouse gases at four different levels of accreditation (mapping, reduction, optimisation and neutrality). Airport Carbon Accreditation is an independent programme* developed by ACI EUROPE, a Brussels-based organisation working solely in the European aviation industry, in collaboration with ACI WORLD. Every time an airport changes level, it undergoes an audit to ensure all processes meet the requirements of the programme guidelines. The 37 partners that have so far voluntarily signed up to the Airport Carbon Accreditation programme include airlines, ground handlers, freight companies, helicopter companies, retailers, caterers, car rental companies, cleaning agencies, refuellers, managers and security firms. Since 2010, Nice has cut its kilograms of CO2 per passenger by 75%, in particular thanks to a successful partnership with Electricité de France and the signature of a contract for the purchase of 100% French hydroelectric power. The other platforms operated by the ACA Group are also accredited, with Cannes Mandelieu airport improving from Level 1 to Level 3, and Golfe de Saint-Tropez airport joining the programme straight in at Optimisation, the third level of accreditation. A worthy and joint success for the whole of the airport group and its various operations, requiring a contribution from every link in the aviation chain involved in the programme. In the words of Dominique Thillaud, CEO of Aéroports de la Côte d’Azur, "Our Group is committed to making the necessary reductions in the carbon emissions of its day-to-day activities. We are proud to declare that Nice is the first airport in France to have been able to cut its emissions and offset the remainder, whilst at the same time increasing its capacity to cope with a rise in passenger numbers. 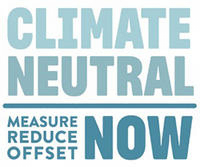 Becoming Carbon Neutral two years ahead of target is a mark of the strong commitment that can be seen across the ACA Group, including Cannes Mandelieu and Saint-Tropez airports. In 2016 we therefore find ourselves excellently positioned to achieve the targets we set ourselves following COP21, whilst joining the other major European airports who have already achieved Level 3+ in their success". Olivier Jankovec, Managing Director of ACI EUROPE, has said "I would like to extend my warmest congratulations to the teams at Aéroports de la Côte d’Azur for their hard work and this historic achievement which has seen Nice Côte d’Azur Airport be the first in France to become Carbon Neutral. The requirements for each of the four levels of certification for Airport Carbon Accreditation are strict and require both strategic commitment and diligence from an airport. Nice Côte d’Azur Airport has today become the 25th Carbon Neutral airport in the world. At the COP21, our industry made a formal commitment to helping 50 European airports achieve this goal by 2030. With the great example set by innovative airports such as Nice Côte d’Azur, we are well on track". "Today's announcement that Nice Côte d’Azur Airport has been certified as carbon neutral by the Airport Carbon Accreditation programme is excellent news. We are hugely encouraged by the increase in the number of airports that have become carbon neutral here in Europe, especially when we are talking about an airport as busy as the one serving Nice, one of the largest towns in the country that hosted the COP21", says Niclas Svenningsen, head of the Climate Neutral Now initiative at the UNFCCC (United Nations Framework Convention on Climate Change).